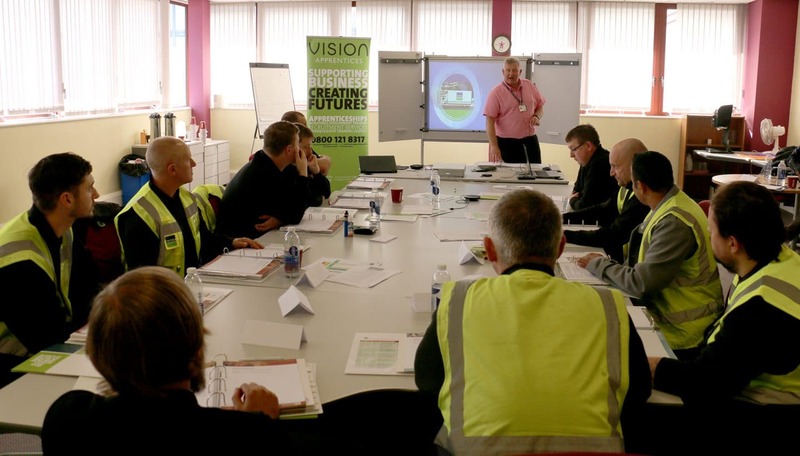 Bunzl Catering Supplies launch Driver Academy scheme. Bunzl Catering Supplies (BCS) has officially launched a Driver Academy scheme, established as a platform to assist current employees, and shortly new recruits, to achieve their career goals within the transport and logistics industry. A part of the BCS Driver Academy scheme is a set of apprenticeship standards that have been developed for employees and runs in conjunction with Vision Business at West Nottinghamshire College. Initially, the Driver Academy scheme is for BCS employees with no previous commercial driving experience, or for existing commercial drivers wishing to increase their qualifications, the apprenticeship standards offer an industry-leading opportunity for employees to earn whilst they learn. The first Driver Academy session, which took place at BCS on 1 April at Mansfield, provided a programme overview along with a practical workshop, which covered: preparation of a vehicle, walk around checks, defect reporting, ancillary equipment checks, planning a delivery or collection and safe use of equipment. Feedback from the first session has been extremely positive and the attendees are now looking forward to completing their apprenticeship over the next 12-months. Participants of the Driver Academy scheme 2019 will be joining the Large Goods Vehicle (Level 2) apprenticeship standard. Throughout the apprenticeship the candidates will gain all the knowledge required to be an elite multi-drop lorry driver with the chance to gain category C1 or C licences. To achieve an apprenticeship standard, which is funded by the apprenticeship levy fund, will see participants gaining core business skills such as communication and customer engagement which are fundamental parts on the road to becoming an elite multi drop driver. At the end of the programme the participants will have achieved a nationally recognised qualification and a Category C driving licence. Phil Haskew, National Transport Manager BCS comments: “The Driving Academy scheme is a flagship programme for our existing employees, enabling them to advance their career within BCS. Shortly, the Driver Academy scheme will open to external applicants, which we believe will be an incredible opportunity to those outside the business who may not have thought of commercial driving as a career choice, but which gives candidates an abundance of opportunities to develop. If you would like to find out more about the Driver Academy apprenticeship scheme, contact BCS today.